I feel blessed to have the opportunity and ability to help people. Whether I’m getting someone out of pain, helping them achieve a better smile, or educating them on how to take care of their mouth, I’m improving that person’s life. I enjoy getting to know each patient on a personal level. I find that by asking questions and actively listening to a patient’s answers, I’m better able to understand their goals and concerns. We talk about their dental situation and the options available to help them meet their needs. Dental materials, technology, and procedures are constantly changing. Dr. Nelson knows it is essential to remain current on these developments in order to provide the best care. Throughout the year he completes many continuing education classes, locally, regionally, and nationally. He also subscribes to several dental journals, to stay up to date on research and new treatment approaches. 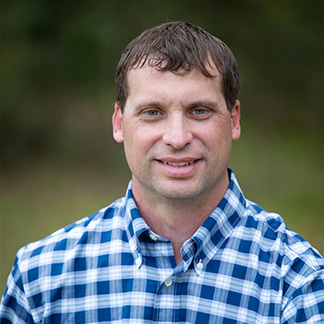 Dr. Nelson grew up in Springfield and graduated from Effingham County High School. He now lives in Rincon with his wife April and their three children. They are blessed to have twins, Parker and Natalie, and a young son, Blake. When he’s not working, Dr. Nelson’s priority is being with his family. The children keep him busy and ensure he remains young at heart. He also enjoys date nights with April. Staying fit and healthy is important to Dr. Nelson. He exercises on a regular basis, loves being outside, and enjoys golfing. He’s also an active hunter and likes the camaraderie with others this brings. On autumn afternoons, you’ll find Dr. Nelson cheering for the Dawgs.